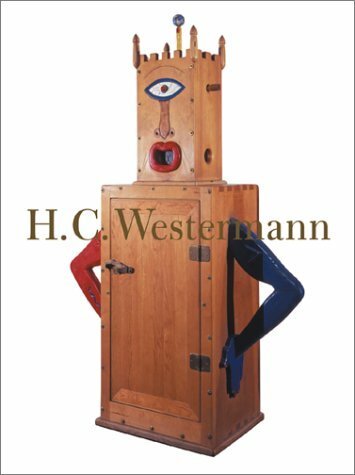 The irony and antic sense of humor that animate the work of H. C. Westermann (1922–1981) and make it so accessible are evident on every page of this volume, the first comprehensive study of the artist in over 20 years. Published to accompany a major traveling exhibition of Westermann’s sculpture, the book looks at how defining themes central to 20th-century America—the horror and disillusionment of war, the mythology of the American utopia, and Hollywood and mass media—shaped his thought and his art. Magnificent color illustrations accompany essays by Robert Storr, who evaluates Westermann in the context of 20th-century art; Lynne Warren, who looks at his years in Chicago in the 1950s; Dennis Adrian, a longtime friend, who surveys the artist’s entire oeuvre; and Michael Rooks, who examines his most elaborate achievement, the house and studio in Connecticut that the artist designed and built by hand from 1969 to 1981.